Elle is a clairvoyant, telekinetic, who helps out Prince Albert’s Royal Commission whenever needed. She and her wife, Faedra, live during the same time and place as the Dark Victorian books. Elle receives a letter from a woman asking for her help. The woman, Josefina, works at a hotel called Sundark. 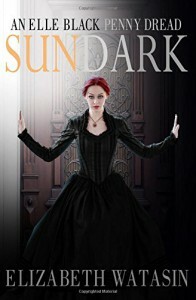 Sundark was built by an illusionist for his wife, Abigail. The house was mechanically designer so the rooms could be moved. Abigail was an occultist who worshiped the goddess Hekate. She picked the location of Sundark, and the placement of a few specific towers, for the special powers they held. There was the odd disappearance now and then, but since Abigail herself disappeared, things had quieted down. Now currents guest are starting to disappear. The regular police have been in after every incident and can find no evidence of foul play. At her wits end, Josefina has come to Elle for help. I have to admit, I was really let down with this title. 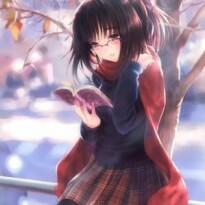 I recently read another book by the author, The Dark Victorian, and really enjoyed it. The characters in Dark Victorian were fun and quirky, but weren't too over the stop. Not the case here. Elle and Feadra are too sickeningly sweet. Most of the characters are pretty generic and flat. The mystery itself bored me. I will not continue with this series. For those of you who read this and didn't enjoy it, I recommend you try Watasin's Dark Victorian series if you haven't already. The characters, story, and overall atmosphere are all stronger then they were here.